10- Captain America: The Winter Soldier- One of the best marvel movies to date works as a superhero film or a fantastic edge of your seat political thriller. A Marvel movie that raises the stakes and sets up the next phase of the Marvel cinematic universe, Chris Evans hits his mark and has finally become the leader this franchise deserves. 9- Dawn of The Planet of The Apes-An excellent sequel, helped out by fantastic special effects and motion capture and led by another fantastic performance from Andy Serkis. 8. 22 Jump Street- A comedic sequel that hits all of its marks, Tatum and Hill are impeccably funny and a smart script made 22 Jump Street one of the most memorable films of 2014. 7. X-Men Days of Future Past- By far the best film in this series, breathes new life into the franchise and should be considered one of the greatest superhero movies ever made. 6. Locke- An absorbing experience as Tom Hardy leads this nearly one man show through twists and turns. A creative and brilliantly written drama about a man whose life is coming apart at the seams while driving to meet someone from his past, Locke is a breath of fresh air thanks to it’s real life scenario and Hardy’s Oscar worthy acting. 5. Guardians of The Galaxy- Marvel‘s change in tone serves as its best origin story yet. Thanks to flawless casting and James Gunn's colorful direction Guardians is still the best time I had in a theater this year. Chris Pratt becomes a super star thanks to his performance and Dave Bautista may have a future following his scene stealing role as Drax. 4. Begin Again- Keira Knightley gives her best performance to date in this love letter to New York City and Indie rock and roll. Filled to the brim with excellent original music and a number of fun performances Begin Again was an excellent follow-up to Once. 3. The Lego Movie- The most original, gleefully self-aware film of 2014. The Lego movie was the perfect animated film, cute for kids and beyond hysterical for adults, the best animated film of 2014 so far. 2. The Grand Budapest Hotel- How does one of Wes Anderson's best movies get released so early on into 2014? I have no idea but Anderson's first attempt at an R rating goes unbelievably well thanks in large part to an incredible performance from Ralph Fiennes. 1. Calvary- A dark comedy with excellent imagery, a fantastic supporting cast and the perfect mix of comedy and murder mystery. 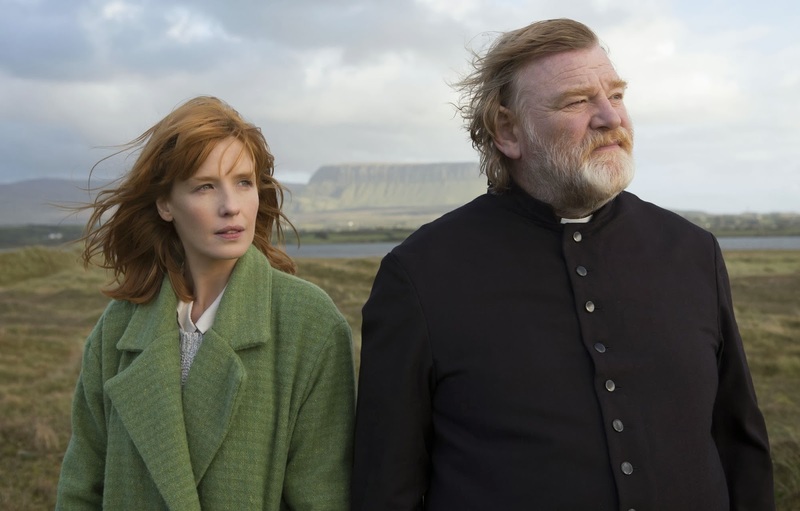 Brendan Gleeson shines in his best performance to date, one of the first real oscar contenders of the year. Many of those would top my worst movies of the year list. You can find The reviews for all of these movies on the review page!